Review: 2000-01-29, Mike Tyson vs Julius Francis was certainly one of the best fights of 2000, as many fighting of Iron Mike. In January 2000, when he faced Julius Francis (21-7-0), Mike Tyson (46-3-0) had already lost against James Buster Douglas and twice with Evander Holyfield, but at 33 years old he seemed still have the desire and the anger of the past. Watch the video! 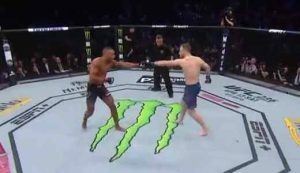 MMA – Ufc 126 video preview & Yamamoto vs Johnson Live on Facebook! 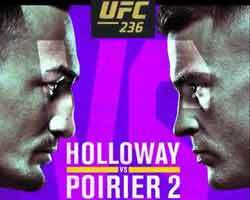 Everyone is looking forward to the UFC 126, which will surely be one of the best MMA events of the year. 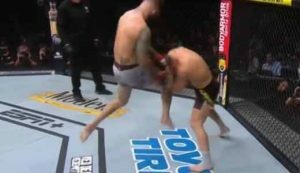 As for the UFC Fight for the Troops 2, Saturday the Ultimate Fighting Championship broadcast live on facebook a fight for free: Norifumi “Kid” Yamamoto vs Demetrious Johnson. To see the fight you need just to be a fan of the UFC’s official page on facebook (scheduled Feb. 5 at 8:25 pm ET / 5:25 pm PT). Review: Julio Cesar Chavez Jr last weekend faced Billy Lyell for the WBC Silver middleweight title. The son of the famous Julio Cesar Chavez, however, has not convinced all his fans and especially his trainer Freddie Roach, the principal cause was the good performance of Billy Lyell. It will not be the fight of the year of 2011 but is a good fight to watch. Watch the video! Review: 2000-02-26, fast and great knockout, Arturo Gatti vs Joey Gamache was definitely one of the most spectacular fights of 2000. Arturo Gatti entered the fight with a record of 30-4-0 while Joey Gamache had a record of 55-3-0. (This fight was the last one of Joey Gamache). Watch the video! Review: 2000-08-19, exciting fight dominated by power punches, Naseem Hamed vs Augie Sanchez was certainly one of the Fights of the Year 2000. The “Prince” Naseem Hamed entered the fight with a perfect record of 34-0-0 while Augie Sanchez had a record of 26-1-0. Hamed was at his 15th defense of his WBO featherweight title while Sanchez was at his first attempt for a world title. Watch the video! Review: 2011-01-07, Ovince St. Preux vs Ron “Abong” Humphrey is the first mma fight of 2011 that gets 4 stars. Strikeforce believes strongly in St. Preux, fighter born in 1983 which came with six consecutive victories, but this time he faced a strong Ron “Abong” Humphrey that put him in trouble many times during the fight, both with heavy punches and on the ground: exciting fight, four stars (controversial decision). Ovince St. Preux vs Ron “Abong” Humphrey was scheduled in the evening: Strikeforce – Challengers 13, January 7, 2011. Watch the video! 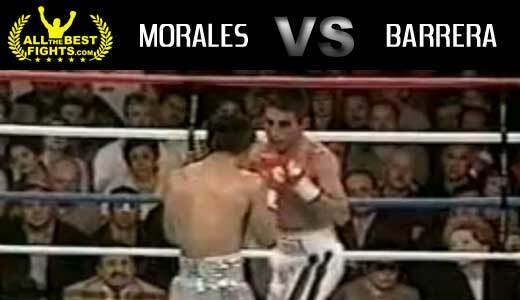 Review: 2000-02-19, the first fight between Erik Morales and Marco Antonio Barrera was a real war in fact it deservedly won “Fight of the Year” honors (Ring Magazine). The undefeated Erik Morales entered the fight with a record of 35-0-0 while Marco Antonio Barrera had a record of 49-2-0 (he had lost twice with Junior Jones). This first fight was valid for WBC and WBO super bantamweight titles. Watch the video! Review: 2000-06-17, Oscar De La Hoya had lost the WBC welterweight title against Felix Trinidad in 1999, but the Puerto Rican boxer left the title vacant (since he moved up in weight class to the light middleweight division), thus the “Golden Boy” faced Shane Mosley to get hold of the title. “Sugar” Shane was still undefeated, having a record of 34-0-0, while Oscar De La Hoya entered the fight with a record of 32-1-0. 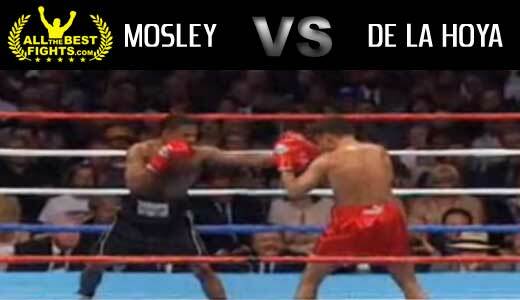 The first fight between Shane Mosley and Oscar De La Hoya was a spectacular and balanced battle; one of the Fights of the Year 2000. Watch the video!